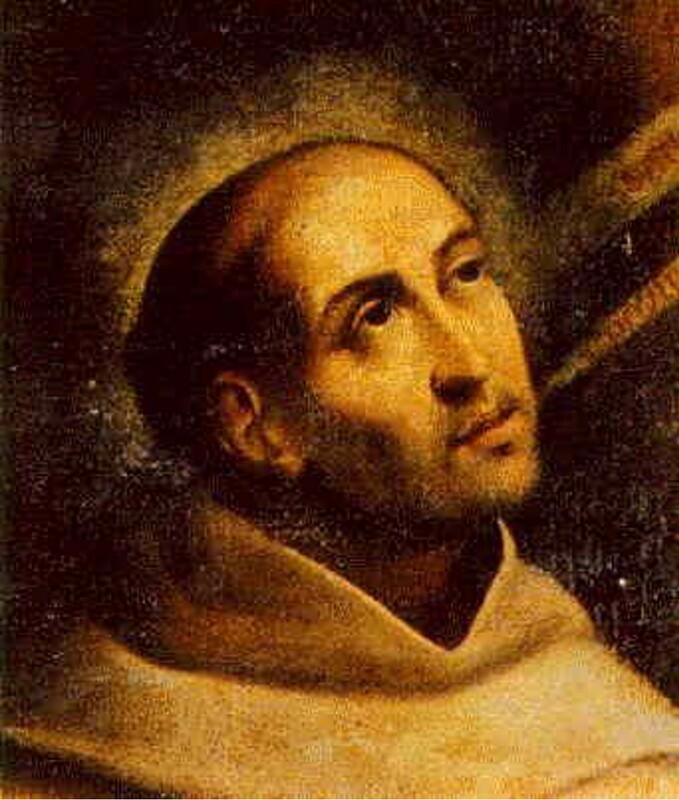 St. John of the Cross, O.C.D. (1542 – December 14, 1591), was a major figure of the Counter-Reformation, as well as a Spanish mystic and a Carmelite priest. He was born Juan de Yepes y Álvarez into a converso family (descendents of Jewish converts to Christianity) in Fontiveros, near Ávila, a town of around 2,000 people. John learned the importance of self-sacrificing love from his parents. His father, Gonzalo, was an accountant to rich relatives who were silk merchants. However, when in 1529 he married John's mother, Catalina, who was an orphan of a lower class, Gonzalo was disowned by his family and forced to work with his wife as a weaver. He died in 1545 while John was only around seven years old—leaving his wife and children in poverty. Two years later, John's older brother Luis died, probably as a result of insufficient nutrition. Shortly after this, John's mother took John and his surviving brother, Francisco, and moved first in 1548 to Arévalo, and then in 1551 to Medina del Campo, where she was able to find work weaving. It was out of this poverty and suffering that John learned to search for beauty and happiness not in the world, but in God. In Medina, John and Francisco entered a school for poor children, mostly orphans, where they received a basic education, mainly in Christian doctrine. While studying there, he was chosen to serve as an acolyte at a nearby monastery of Augustinian nuns. In 1556, when John was about fourteen, he took a job caring for hospital patients who suffered from incurable diseases and madness. From 1559 to 1563, he studied the humanities at a Jesuit school. In 1563 he entered the Carmelite Order, adopting the name John of St. Matthias. The following year, he professed his religious vows as a Carmelite and traveled to Salamanca, where he studied theology and philosophy at Salamanca University (at the time, one of the four biggest universities in Europe, alongside Paris, Oxford and Bologna) and at the Colegio de San Andrés. Some modern writers claim that this stay would influence all his later writings, as Fray Luis de León taught biblical studies (Exegesis, Hebrew and Aramaic) at the University: León was one of the foremost experts in Biblical Studies then and had written an important and controversial translation of the Song of Songs into Spanish (at that time in Spain, the translation of the Bible into the vernacular was not allowed). John was ordained a priest in 1567, and then indicated his intent to join the strict Carthusian Order, which appealed to him because of its encouragement of solitary, silent contemplation. A journey from Salamanca to Medina del Campo, probably in September 1567, changed this. In Medina he met the charismatic Carmelite nun, Teresa of Jesus. She was in Medina to found the second of her convents for women. She immediately talked to him about the details of her reformation projects for the Order, including a new rule that the nuns and friars would spend much of the day and night in the recitation of the choir offices, study and devotional reading, the celebration of Mass, and times of solitude. For the friars, time was also to be spent evangelizing the population around the monastery. 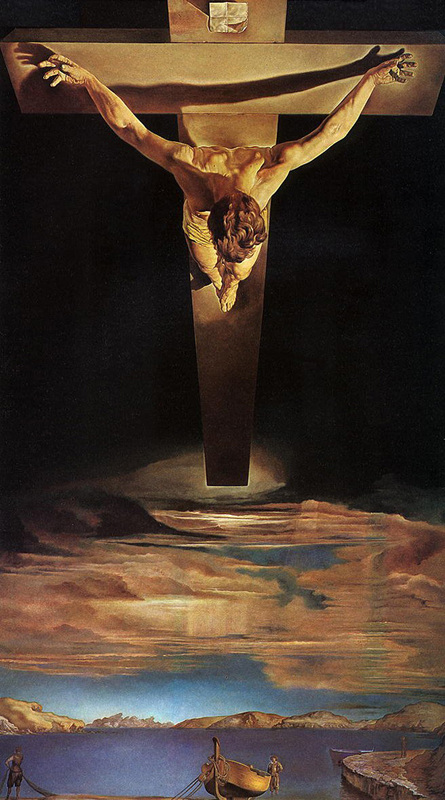 In addition, total abstinence from meat and lengthy fasting were to be observed from the Feast of the Exaltation of the Cross (September 14) until Easter. There were to be long periods of silence, especially between Compline and Prime. Coarser, shorter habits, more simple than those worn since 1432, were to be worn. They were to follow the injunction against the wearing of shoes. It was from this last observance that the Carmelite followers of Teresa were becoming known as "discalced," i.e., barefoot, differentiating themselves from the non-reformed friars and nuns. Teresa asked John to delay his entry into the Carthusians and to follow her. Having spent a final year studying in Salamanca, in August 1568 John traveled with Teresa from Medina to Valladolid, where Teresa intended to found another monastery of nuns. After having spent some time with Teresa to learn more about this new form of Carmelite life, John left Valladolid in October, accompanied by Friar Antonio de Jesús de Heredia, to found a new monastery for friars, the first for men that was to follow Teresa's principles. They were given the use of a derelict house at Duruelo (midway between Ávila and Salamanca), which had been donated to Teresa. 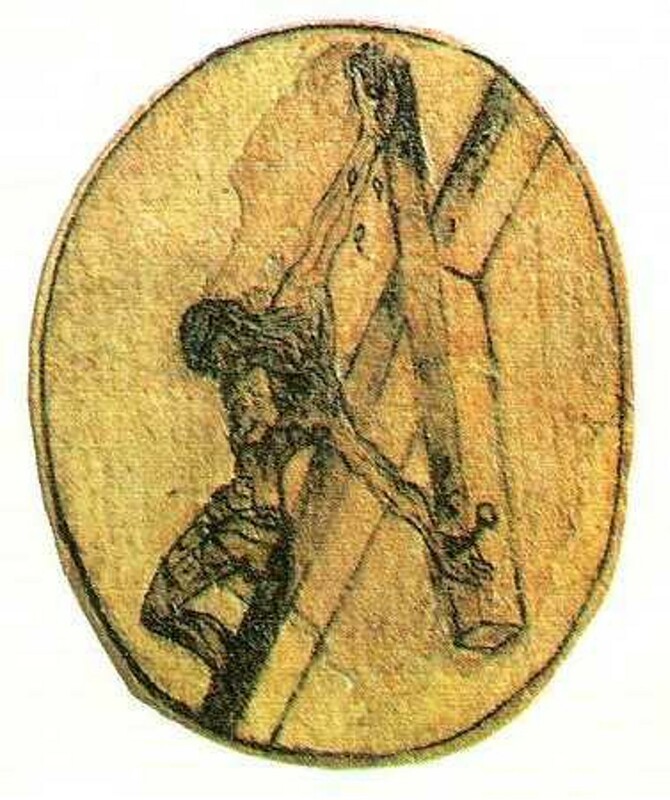 On November 28, 1568, the monastery was established, and on that same day John changed his name to John of the Cross. Soon after, in June 1570, the friars moved to the nearby town of Mancera de Abajo. In October of that year, John moved to Pastrana to set up a new community there as well as a new community at Alcalá de Henares, which was to be a house of studies for the academic training of the friars. In 1572, he arrived in Ávila, at the invitation of Teresa, who in 1571 had been appointed prioress of the Monastery of the Visitation in Avila. John became the spiritual director and confessor for Teresa and the other 130 nuns there, as well for as a wide range of lay people in the city. In 1574, John accompanied Teresa in the foundation of a new monastery in Segovia, Spain. Beyond this, though, John seems to have remained in Ávila between 1572 and 1577. In Andalusia to the south, however, where the Visitor was Francisco Vargas, tensions rose due to his clear preference for the Discalced Friars. Vargas asked them to make foundations in various cities, in explicit contradiction of orders from the Carmelite Prior General against their expansion in Andalusia. As a result, a General Chapter of the Carmelite Order was convened at Piacenza in Italy in May 1576, out of concern that events in Spain were getting out of hand, which concluded by ordering the total suppression of the Discalced houses. This measure was not immediately enforced. For one thing, King Philip II of Spain was supportive of some of Teresa's reforms, and so was not immediately willing to grant the necessary permission to enforce this ordinance. Moreover, the Discalced friars also found support from the papal nuncio (representative), Nicolò Ormaneto, also the Bishop of Padua, who still had ultimate power to visit and reform religious Orders. When asked by the Discalced Friars to intervene, Ormaneto replaced Vargas as Visitor of the Carmelites in Andalusia (where the troubles had begun) with Jerónimo Gracián, a priest from the University of Alcalá, who was in fact a Discalced Carmelite Friar himself. The years 1575-77 saw a great increase in the tensions among the Spanish Carmelite friars over the reforms of Teresa and John. Since 1566, the reforms had been overseen by Canonical Visitors from the Dominican Order, with one appointed to Castile and a second to Andalusia. These Visitors had substantial powers: they could move the members of religious communities from house to house and even province to province. They could assist religious superiors in their office, and could delegate other superiors from either the Dominicans or Carmelites. In Castile, the Visitor was Pedro Fernández, who prudently balanced the interests of the Discalced Carmelites against those of the friars and nuns who did not desire reform. In January 1576, John was arrested in Medina del Campo by some Carmelite friars opposing his reforms. However, through the nuncio's intervention, John was soon released. But when on June 18, 1577, the nuncio died, John was left without protection, and the friars who were against the reforms gained the upper hand. On the night of December 2, 1577, a group of these Carmelites broke into John's dwelling in Ávila and took him prisoner—moving him to the Carmelite monastery in Toledo, at that time the Order's most important monastery in Castile. John was then brought before a court of friars and accused of disobeying the ordinances of Piacenza. Despite John's argument that he had not done so, he received a punishment of imprisonment. He was jailed in the monastery, where he was kept under a brutal regimen that included three public lashings a week in front of the community and severe isolation in a tiny stifling cell (measuring ten by six feet, barely large enough for his body). Except when rarely permitted an oil lamp, he had to stand on a bench to read his breviary by the light through the hole from the adjoining room. He had no change of clothing and a penitential diet of water, bread, and scraps of salt fish. During this imprisonment, he composed a great part of his most famous poem, “Spiritual Canticle,” as well as a few shorter poems. The paper he wrote on was passed to him by the friar who guarded his cell. After nine months, on August 15, 1578, John escaped by unscrewing the lock on his cell door and creeping past the guard—taking only the mystical poetry he had written in his cell. With no idea where he was, he followed a dog to civilization. He hid from pursuers in a convent infirmary where he read his poetry to the nuns. From then on his life was devoted to sharing and explaining his experience of God's love. After his health was restored, in October 1578, he joined a meeting of some supporters of reform, increasingly known as the Discalced Carmelites. At this meeting, John was appointed superior of El Calvario, an isolated monastery of around thirty friars in the mountains about six miles away. While there, they decided to demand from the Pope their formal separation from the rest of the Carmelite Order. During this time, he befriended the nun Ana de Jesús, superior of the Discalced nuns at Beas, through his visits every Saturday to the town. In 1579 he moved to Baeza, a town of around 50,000 people, to serve as rector of a new college, the Colegio de San Basilio, to support the studies of the Discalced Friars in Andalusia. This opened on June 13, 1579. He remained there until 1582, spending much of his time as a spiritual director for the friars and townspeople. 1580 was an important year in the resolution of the disputes within the Carmelites. On June 22, Pope Gregory XIII signed a decree, titled “Pia Consideratione,” which authorized a separation between the Calced and Discalced Carmelites. The Dominican Friar, Juan Velázquez de las Cuevas, was appointed to carry out the decisions. 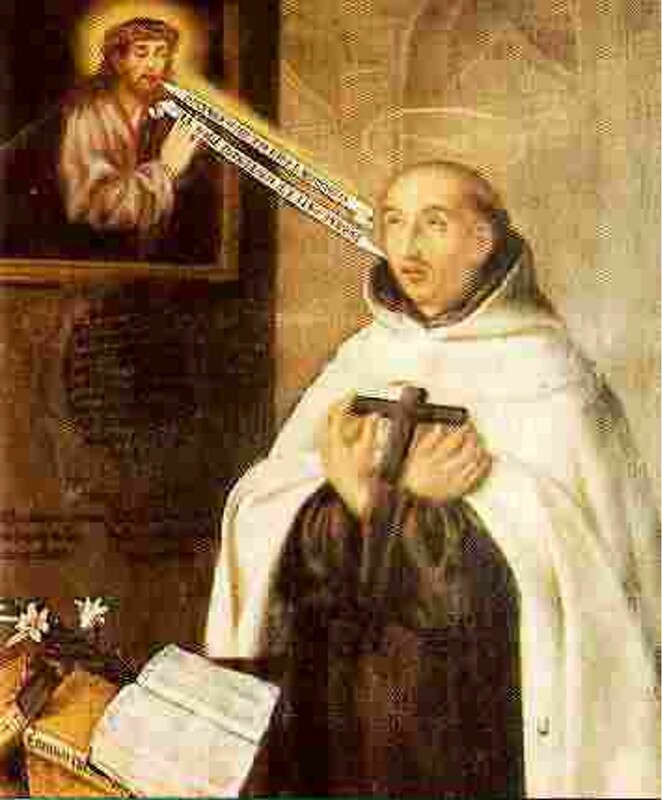 At the first General Chapter of the Discalced Carmelites, in Alcalá de Henares on March 3, 1581, John of the Cross was elected as one of the "Definitors" of the community and wrote a set of constitutions for them. By the time of the Provincial Chapter at Alcalá in 1581, there were 22 houses, some 300 friars, and 200 nuns in the Discalced Carmelites. In November 1581, John was sent by Teresa to help Ana de Jesus in founding a convent in Granada. Arriving in January 1582, she set up a monastery of nuns, while John stayed in the friars' monastery of Los Martires, beside the Alhambra, becoming its prior in March 1582. While there, he learned of the death of Teresa in October of that year. In February 1585, John travelled to Málaga where he established a monastery of Discalced nuns. In May 1585, at the General Chapter of the Discalced Carmelites in Lisbon, John was elected Provincial Vicar of Andalusia, a post which required him to travel frequently (it's estimated that he travelled around 15,000 miles!) to make annual visitations to the houses of friars and nuns in Andalusia. During this time, he founded seven new monasteries in the region. In June 1588, he was elected third Councilor to the Vicar General for the Discalced Carmelites, Father Nicolas Doria. To fulfill this role, he had to return to Segovia in Castile, where he also served as prior of the monastery. After disagreeing with some of Doria's remodeling of the leadership of the Discalced Carmelite Order, though, John was removed from his post in Segovia and sent by Doria in June 1591 to an isolated monastery in Andalusia called La Peñuela. There he fell ill, and traveled to the monastery at Úbeda for treatment. His condition worsened, however, and he died there on December 14, 1591, of erysipelas, an acute, sometimes recurrent skin disease caused by a bacterial infection, and characterized by large, raised red patches on the skin, especially on the face and legs, with accompanying fever and severe general illness. The morning after John’s death, huge numbers of the townspeople of Úbeda entered the monastery to view John’s body; in the crush, many were able to take home parts of his habit. He was initially buried at Úbeda, but, at the request of the monastery in Segovia, his body was secretly moved there in 1593. The people of Úbeda, however, unhappy at this change, sent a representative to petition the pope to move the body back to its original resting place. Pope Clement VIII, impressed by the petition, issued a brief on October 15, 1596, ordering the return of the body to Úbeda. Eventually, in a compromise, the superiors of the Discalced Carmelites decided that the monastery at Úbeda would receive one leg and one arm of his body (the monastery at Úbeda had already kept one leg in 1593, and the other arm had been removed as the corpse passed through Madrid in 1593, to form a relic there). A hand and a leg remain visible in a reliquary at the Oratory of San Juan de la Cruz in Úbeda, a monastery built in 1627 and connected to the original Discalced monastery founded in 1587. The head and torso were retained by the monastery at Segovia. There, they were venerated until 1647 when, on orders from Rome, the remains were buried in the ground. In the 1930s they were disinterred, and now sit in a side chapel in a marble case above a special altar built in that decade. Proceedings to beatify John began between 1614 and 1616 with the gathering of information on his life, although he was not beatified until 1675 by Pope Clement X, and not canonized (by Benedict XIII) until 1726. When his feast day was added to the General Roman Calendar in 1738, it was assigned to November 24, since his date of death was impeded by the then-existing octave of the Feast of the Immaculate Conception. However, in 1969 Pope Paul VI moved the feast to the “dies natalis” (birthday to heaven) of the saint, December 14. In 1926, he was declared a Doctor of the Church. His life of poverty and persecution could have produced a bitter cynic. Instead it gave birth to a compassionate mystic, who lived by the beliefs that, "Who has ever seen people persuaded to love God by harshness?" and "Where there is no love, put love—and you will find love." John left us many books of practical advice on spiritual growth and prayer that are just as relevant today as they were then. These books include the spiritual classics, “Ascent of Mount Carmel” and “Dark Night of the Soul.” Since joy comes only from God, John believed that someone who seeks happiness in the world is like "a famished person who opens his mouth to satisfy himself with air." He taught that only by breaking the rope of our desires could we fly up to God. Above all, he was concerned for those who suffered dryness or depression in their spiritual life and offered encouragement that God loved them and was leading them deeper into faith. In his words, "What more do you want, o soul! And what else do you search for outside, when within yourself you possess your riches, delights, satisfaction and kingdom—your Beloved whom you desire and seek? Desire Him there, adore Him there. Do not go in pursuit of Him outside yourself. You will only become distracted and you won't find Him, or enjoy Him more than by seeking Him within you." when you were alone and persecuted, you found God.